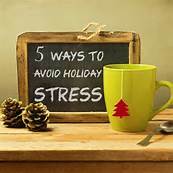 Many people suffer with stress brought on by the holidays. 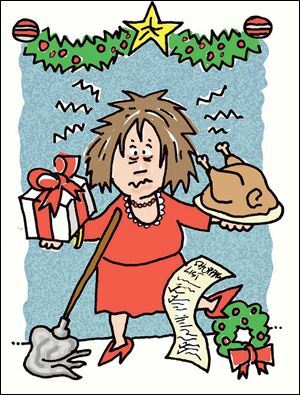 But holiday stress can be exaggerated when someone is living with a brain injury. Julie Kintz and Donna O’Donnell Figurski hosts of “Another Quantum Leap in the Road” talked about how to get through the holidays. They examined possible stressors and suggested ways to overcome many problems that result. Here are some sites that offer more information. Due to a prior engagement, I was unable to host my show, Another Fork in the Road on the Brain Injury Radio Network on October 19, 2014. Fortunately for me and all my listeners, Julie Kintz of Quantum Leap stepped into her host shoes and interviewed a very interesting guest. Mark Ittleman, a speech and language pathologist, spoke of the many difficulties brain-injured survivors encounter after their injury. I will be back on November 2nd with Dr. David Figurski, (my spouse) who will give his perspective of his life as he conquers traumatic brain injury. Mark explained his philosophy of therapy (it should be doable, interesting, and enjoyable), his methods (analysis, repetition, and modeling), and his strong desire to involve the caregiver (by his or her presence in the sessions, by learning from him, and by his writing simple-to-understand books – he’s working on one now). Mark cautioned survivors to get more than one prognosis because a prognosis is only a doctor’s opinion and because survivors are often more capable than people realize. Mark understands the power of the ability to communicate and suggested that survivors – even years after their trauma – can benefit from having a speech therapist. I hope you’ll tune in to my show, Another Fork in the Road, which airs the 1st and 3rd Sunday evenings of every month. The show starts at 5:00p Pacific Time and runs for 90 minutes. On the 2nd and 4th Sundays at 5:00p Pacific Time, Julie Kintz hosts Quantum Leap. When there is a fifth Sunday in a month, Julie and I will team up to cohost a show called Another Quantum Leap in the Road. Julie Kintz interviews Mark Ittleman M.S. CCC/SLP. Mark will address speech difficulties after brain injury in both children and adults. My car went off a cliff in California. There was a house being built, and the construction workers saw it happen as they sat on the roof eating their lunches. They are the reason I am alive today. I doubt that I would have ever been found. I never did get to thank them. I had surgery to relieve the swelling in my brain. I did not have any rehab, although I really needed it. I never had the opportunity to attend a rehab center. I find it funny that this question is difficult to answer. I do not see them as “disabilities” as much as I see them just as the realities of my life. My condition has become the way it is. I normally do not think about it very much. For instance, the left side of my body is weaker than my right. My left leg is three inches bigger than my right leg and has little muscle tone. My legs look like the “before” and “after” pictures for when someone begins to work out. I used to think of myself more like “the elephant man.” Then I learned to accept me with all my flaws because I have so many positives going for me. The effects of my injury that cannot be seen are frontal lobe damage (both on the right and left sides) and damage to my hypothalamus/pituitary axis. I have learned great coping skills, but I still struggle with ADHD (attention deficit hyperactivity disorder) and other frontal lobe issues, including memory issues. I do not remember my life before the accident. I lost the memory of my life previous to the accident. I still struggle with both long- and short-term memory issues. I have learned to accept where I am at the moment. Doing this helps to empower my future. At any second, we can decide if we are going to be a victim or a survivor. I may struggle with an issue for a bit. Then I decide that the only way to go is forward and determine what will help my goals become reality. I wonder what I would have been capable of doing if not for this brain injury. I have the ability to understand the shortcomings of others, even if they do not want to understand mine. I also have embraced the idea that this is my journey, and I try to make the best out of what is in front of me. The more I understand who I am outside of my injury, the more I have learned to love myself unconditionally. By doing this, I am not afraid to try new things. Yes. Emotional dis-regulation was not understood when I had my accident, like it is now. My family did not know how to deal with it, so I was left to fend for myself. Absolutely! I really need a lot of downtime, even 23 years post brain injury. I enjoy being with people, but eventually I need time in a quiet place. I do spend a great amount of time alone. I have been my main caregiver since the accident. I will be starting graduate school in the fall in a Purdue University program: Interpersonal and Organizational Communication Theory. By attaining this degree, I hope to help those with brain injury live a fuller and more productive life. I am currently working with some wonderful professionals to open a not-for-profit brain injury center where I live. My dream is to build centers all over to educate survivors, their families, and professionals about brain injury. The center will also focus on the unmet needs of those with brain injury. These are considered secondary to the original problems. These would include, but not be limited to, the following: low self-esteem, making and keeping friends, and learning to communicate effectively. Come to terms with where you are in life. Instead of spending time wishing the injury did not happen, accept it and figure out what you can do to get you to where you want to be. Accepting that your brain injury cannot be changed frees your mind to figure out how to get you to where you want to go. If you do not know where you want to go, then try new things. Finding your passion will help you heal both your body and your mind. What we think really does affect how well we heal. You will get what you look for. If you are looking for how bad life is, you will find things to verify it. If you look for the good, you will find that as well. Finding who you are will help put you on a better path. Find who you are – not who people say you are, but who you truly are. Let your struggle build you to be the best you can be. Look at it as if you were writing a book. Every day, when you wake up, ask yourself, “What do I want to write in my book today?” You can choose to write about how you overcame a struggle just to get out of bed. When you conquer that struggle, it will fuel you to set a new goal. Everyone climbs a mountain one step at a time. It is important that you find a support group in your area. Support group members can be a great deal of help in figuring out what doctors and professionals in the area will be good, or not so good, for you to see. Also there are a ton of Facebook support groups; find some that you feel comfortable in. They can be a huge source of support and knowledge. Please keep in mind that people can use these groups to prey on people who are desperate for a cure. A red flag should go up if they, or people they know, are making money off what you are sharing with them. Ask for research. If the research is not from a reputable source (for example, the Mayo Clinic), then research it some more. Ask others on the site if they have heard of it. There are others on the site who will help with the research. If it sounds to good to be true, it normally is. Educate yourself about brain injury. Make sure you know what your MRIs (magnetic resonance imaging) and other tests tell you about your injury. You will need to learn to be your own advocate. But, getting an advocate can be of great help when you are too fatigued to advocate for yourself. A great place to start is at the Brain Injury Association of America (BIAA). I also have a talk show, Quantum Leap, on the Brain Injury Radio Network. On it, I discuss current research, as well as interview professionals who work in the brain injury world. The network has shows seven nights a week. Volunteers who either have a brain injury or are caregivers run the Brain Injury Network. Just as brain injury is different in everyone, the hosts have different approaches to their shows. Everyone should be able to find a show that he or she enjoys. Thank you, Julie, for taking part in this interview. I hope that your experience will offer some hope, comfort, and inspiration to my readers.